Were you looking for Jones Act lawsuits? If you have had an injury while at sea, you may need the services of a lawyer who is experienced in maritime law. Maritime law covers boat accidents that occur on the high seas, from pleasure boats and cruise ships to jet skis. Accidents can happen at ports of call or during on-shore excursions; a personal injury such as slip and fall, swimming accident, collision at sea or in port, or a defective equipment incident is covered by maritime law. Send your Boat Accident and Maritime Law claim to a lawyer who will review your claim at NO COST or obligation. Maritime law can be complex and different rules limit liability in maritime claims. Maritime injuries should not be treated as a workers compensation claim, but should be investigated under Federal Law, including the Jones Act and general maritime law. With the increase in cruise ship vacations and huge ships being built to accommodate thousands of passengers, cruise ship accidents are unfortunately on the rise. All cruise ship operators have a responsibility to care for the safety of their passengers. 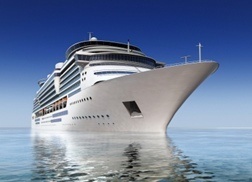 Cruise ship accidents may involve slips and falls, food illnesses, fires, or incidents at ports of call. Inadequate or negligent shipboard medical care; medical malpractice or sexual assault by fellow passengers or crew members could result in a claim. As well, unreasonable dangers and defective equipment aboard the ship can lead to serious injury or even death. Most ocean-going cruise ships calling at American ports are under foreign ownership, but the U.S. law typically applies when the contract is entered in the United States, the voyage commences in the United States, and a citizen of the United States is involved in the case. Cruise ship tickets may also identify where the case is governed. The ticket may impose requirements that an injury claim or lawsuit must be made in or governed by a specific state. Further, there may be a reporting time limit or choice of laws requirement. Some tickets may disclaim liability for the negligence of employees or operators of shore side (port-of-call) excursions. If a passenger is injured, the passenger must show that cruise line deviated from its standard of care, "reasonable care under the circumstances" in order to receive compensation. The cruise lines have no duty to warn of open and obvious dangers that should be apparent to the passenger. However, if a passenger and the cruise ship are both negligent, the passenger's negligent action may reduce the amount of recovery, but does not prevent it. If a cruise line passenger dies and the death occurs within the territorial waters of a state, that state's wrongful death law would apply. However, if the death occurs more than three miles from the shore, the Death On The High Seas Act (DOHSA) applies. A marine lawyer can prepare your claim, negotiate to obtain the maximum benefits to which you are entitled and assist you in finding appropriate medical treatment. He or she can help you get compensation for personal injuries such as broken bones and fractures, exposure to ammonia, slip and fall, FELA death with negligence, traumatic asthma attacks, back injuries, etc. If you and your lawyer are unable to reach an agreement with your insurer/adjuster, you may have a right to take your case to a judge or jury. Cases such as wrongful denial of maintenance, unpaid wages due or failure to provide medical treatment, may be fast-tracked for court appearances. A claim can be handled by 1) direct negotiations with your employer or insurance adjuster; 2) filing a law suit; or 3) legal proceedings before a state or federal agency. A court case can take from a few weeks, to well over 12 months to resolve. Waiting for a claim to resolve can be very frustrating. Having a lawyer who will actively pursue maintenance, disability payment, wages due under contract, or unpaid bonuses, can be a great benefit. It is important to find an attorney that will fight for your rights. And keep in mind that a statute of limitations may apply. If you or a loved one has been hurt in a boating accident, please click the link below to send your complaint to a lawyer who will evaluate your claim at no cost or obligation. Boat Accident Leaves 52-Year-Old With Serious..